The Nnamdi Ogbonnaya signee is here with his brand of breezy Chicago hip-hop. 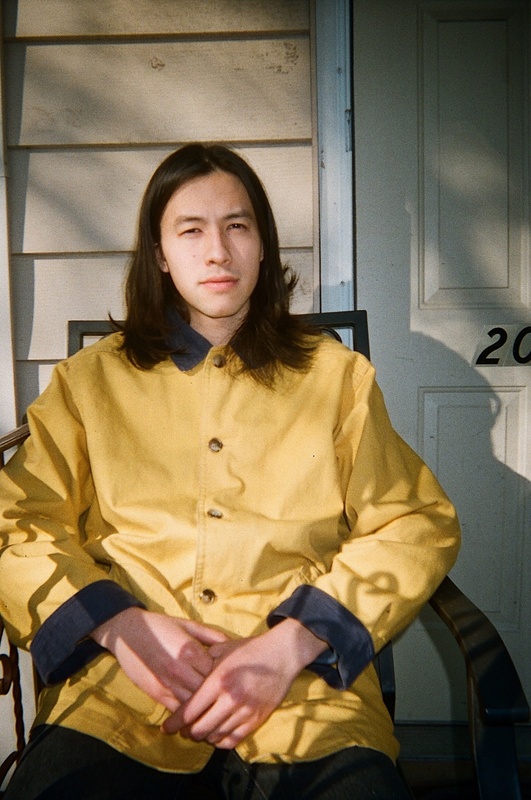 Singer, rapper, and multi-instrumentalist Sen Morimoto makes the kind of music you could easily imagine wafting out of the top story of a two-flat greystone during a hot summer night in Chicago. Morimoto, a former member of Dark World who moved to Chicago from western Massachusetts in 2014, shares a breezy, conversational sensibility with locals like Saba, Joey Purp, and Chance the Rapper. Even though he didn't grow up in the city, his approach to songcraft fits right in with its spirit. His new track "People Watching," from the forthcoming Cannonball! LP, floats his voice over waves of saxophone and synthesizers, both of which Morimoto played himself. As he says in the lyrics, "I don't have a band / I don't need a band." Cannonball! comes out May 4 on Sooper Records, the indie label founded by fellow Chicago oddball Nnamdi Ogbonnaya. It’s a natural collaboration: Both musicians have a knack for folding narrative into offbeat, genre-agnostic songs, and both play enough instruments that they can put together complex tracks single-handedly. Over the phone from Chicago, Morimoto spoke with The FADER about "People Watching" and what it's been like to settle into Chicago's vibrant music community. You and Nnamdi Ogbonnaya have such compatible approaches to making music. How did you end up working together to put out your next album? Nnamdi came to one of my shows when I first moved to Chicago. I had seen his music before — someone had shown me some of his videos. I loved his music when I found it. It was like, "Someone else does what I do, only better!" I was secretly fanboying out when we met. Then we just started hanging out, making funny songs, and then he started Sooper Records a year and a half ago with Glenn [Curran]. I love all their releases, so I was really excited when they hit me up to do a record. Has living in Chicago for the past four years affected your approach to making music? Totally. There's a lot of instrumentalists and vocalists and songwriters here that push me in a cool way. It can definitely be its own world; there's a certain Chicago musicality. There's a lot of really amazing women in Chicago right now making songs that are almost standards in terms of how solid the songwriting is. They've definitely inspired me to be stricter with myself in terms of being tasteful about writing. You play saxophone on this record and you also do your own vocals. What do you learn from playing sax that you can apply to singing, and vice versa? I've played saxophone the longest of any instrument, since I was 10. There's a lot of melodies and ideas I can communicate on the saxophone that I can't with my voice. I'm not trained vocally at all. There's a lot of ways in which I try to mimic how I play saxophone vocally, which is funny, because the saxophone is built to try to mimic a voice. Lately I've been obsessed with a record I found by this lady called Vi Redd. She's a singer and a saxophonist, and she's a really good example of someone whose vocal melodies are something she would play on saxophone. You can hear that really clearly. She's amazing.